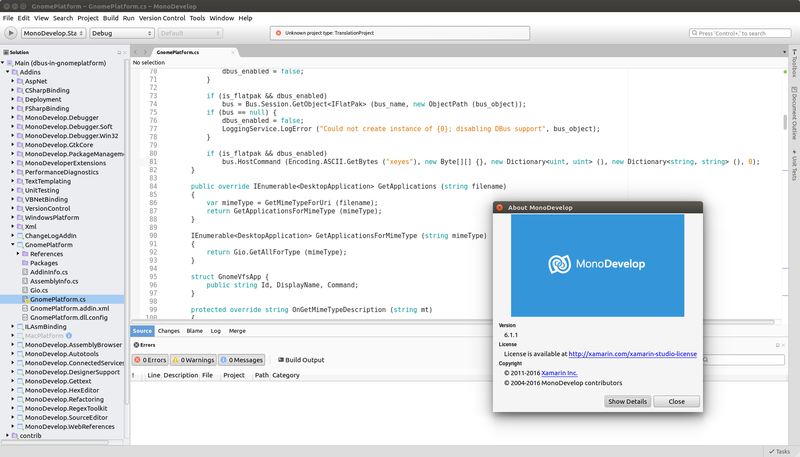 So what would we need to do to develop gtksharp3 applications using a flatpak’d mono and monodevelop? The ideal would be for there to be a Mono Runtime of some kind, which apps could build against – include stuff like Mono, Gtk#, etc, in there. Problem is, as long as MonoDevelop is bound to Gtk#2, MonoDevelop couldn’t use the Mono runtime, which is… well, pretty silly really. I’m open to some discussion on the topic, especially if we could get the current Gtk# maintainers involved. In a glorious future where Mono picks up again for Linux desktop app dev, I think a runtime is a great strategy, but today, I think it’d be a lot of work for little benefit, and easier for individual apps to just include their own certified version of Mono in their bundle. Wow, great job. It’s awesome to have the official releases packages for just about any linux distribution out there. One thing I’m noticing is that the desktop theming does not seem to be applied to MonoDevelop running in flatpak (cursors, colors, fonts). Is that something which needs to be addressed in flakpak or the MonoDevelop package? A bit of both. Desktop theming can rely on theme engines, which can be in .so form, so in those cases trying to just pass through the theme could break stuff. Cursors should probably be passed through – I’ll file a bug with Flatpak, if I remember. Fonts… are complicated. There are two levels of problem – fonts from outside being available inside, and fontconfig’s fallthrough of missing fonts to similar ones being completely and entirely awful. I was gonna post a link to where I gave up & hardcoded Arial for the welcome screen in Flatpak MonoDevelop (to avoid it picking some silly ultra-slim font), but GitHub is down, so you’ll have to take my word for it. then include the availble gtk-sharp3 3.22 package from nuget then I can actually develop GtkSharp3 applications without issues. 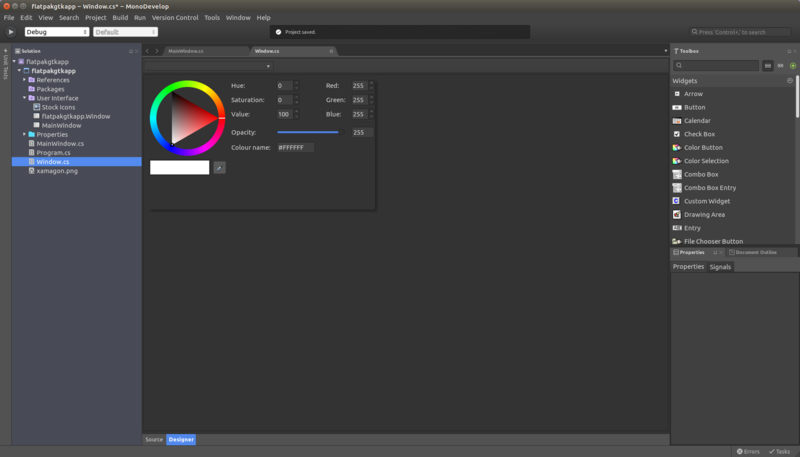 That leads me to the question, why not use org.gnome.Platform instead of org.freedesktop.Sdk ? Hm… Space concerns, I guess, and a lingering worry about incompatibility between Gtk2 and Gtk3 components. I could be wrong, of course!